Selected by juror Dewi Lewis of Dewi Lewis Publishing, Michele Palazzi & Alessandro Penso's work documents the conditions of migrant workers in Italy. Coming to Italy from various locations in Africa, the workers often move around the country based on the harvest season, picking everything from melons to citrus, kiwis to tomatoes. Starting in August or September, the tomato harvest can be particularly brutal. 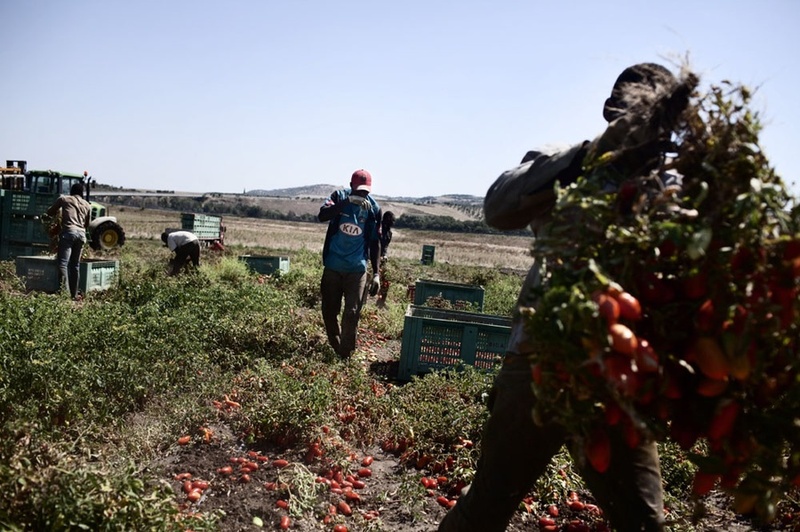 The status of the migrant agricultural worker in Italy has become an increasing source of tension. 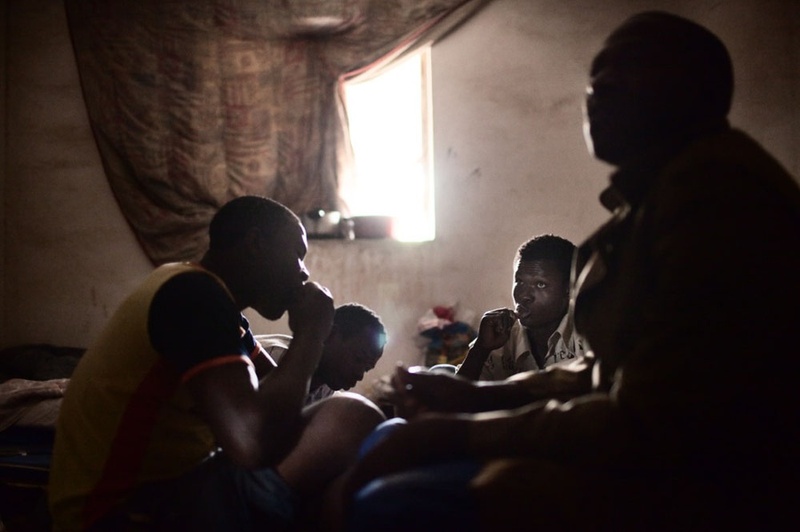 Recent shootings and resulting migrant worker riots have exposed racism, though the profound poverty in some of these Italian farmlands is the bigger underlying issue. Despite vast unemployment in some of these regions, the migrant workers fill jobs that most Italians would not take themselves. Working for twelve hours a day and living in awful conditions, the migrant agricultural workers typically make around 30 euros a day. The conditions endured by the workers are terrible -- one Father speaking on behalf of the migrants likened their situation to one of the rings of hell in Dante's Divine Comedy. In this collection of scenes and portraits, Palazzi & Penso do not present simply a tragedy, but also the life one carves out of an appalling situation. Images of workers in the fields mingle with photographs depicting the other side of this life: food preparation, rest and prayer. The tawny landscape and pale sky of the Italian farmland, on the cusp of or undergoing decay from summer abundance, make for an arresting backdrop. The images are both striking and beautiful, but are captured with a beauty that does not over shadow the seriousness of the worker's conditions. Rather, the beauty works in favor, creating images that intrigue the eye and linger in the mind. See Michele Palazzi & Alessandro Penso Migrant Workers Journey portfolio here.